Good Times Restaurants Inc. reported Q2 same store sales growth across both brands. Good Times Burgers & Frozen Custard same store sales increased 7.1%, while Bad Daddy’s reported same store sales increase of 0.2% (0.7% increase when adjusted to account for one location heavily impacted by local construction). This marks the 7th consecutive quarter of same store growth for Good Times and the 12th consecutive quarter of positive comp sales for Bad Daddy’s. Good Times Restaurants Inc. (Nasdaq: GTIM), operator of Good Times Burgers & Frozen Custard, a regional quick-service restaurant chain focused on fresh, high-quality, all-natural products, and of Bad Daddy’s Burger Bar, a full-service, upscale concept, today announced that its Good Times’ same store sales increased 7.1% in its fiscal second quarter ended March 27, 2018 over the prior year’s increase of 0.5%, and its Bad Daddy’s same store sales increased 0.2% during the quarter over the prior year’s increase of 3.2%. Excluding the Cherry Creek location which continues to be impacted by construction in the surrounding area, Bad Daddy’s adjusted same store sales increased 0.7% for the quarter. About Good Times Restaurants Inc.: Good Times Restaurants Inc. operates Good Times Burgers & Frozen Custard, a regional chain of quick service restaurants located primarily in Colorado, and in its wholly owned subsidiary, Good Times Drive Thru Inc. Good Times provides a menu of high quality all-natural hamburgers, 100% all-natural chicken tenderloins, fresh frozen custard, natural cut fries, fresh lemonades and other unique offerings. Good Times currently operates and franchises a total of 38 restaurants. GTIM owns, operates, franchises or licenses 28 Bad Daddy’s Burger Bar restaurants through its wholly-owned subsidiaries. Bad Daddy’s Burger Bar is a full-service, upscale, “small box” restaurant concept featuring a chef driven menu of gourmet signature burgers, chopped salads, appetizers and sandwiches with a full bar and a focus on a selection of craft microbrew beers in a high-energy atmosphere that appeals to a broad consumer base. The ONE Group reported that Q4 total GAAP revenue increased 6.1% to $21.7 million, comparable sales for owned and managed STK units increased 9.5%. Full Year 2017 financials indicate total GAAP revenue increased 10.2% to $79.8 million and Adjusted EBITDA increased 57.7% to $7.0 million. The ONE Group Hospitality, Inc., today reported its financial results for the fourth quarter and full year ended December 31, 2017. The Company also provided a development update, issued long-term growth targets and announced the appointment of a new director. Total restaurant expenses decreased 540 basis points from 88% to 83% as a percentage of revenues. *Comparable sales or same store sales (“SSS”), represents total food and beverage sales at owned and managed units opened for a full 18-month period. This metric includes total revenue from our US owned and managed STK locations as well as the revenue reported to us with respect to comparable sales at our international locations (measured in constant currency), and excludes revenues where we do not directly control the event sales force (Royalton Hotel in NY and The W Hotel in Westwood, CA). ** Adjusted EBITDA, a non-GAAP measure, represents net loss before interest expense, provision for income taxes, depreciation and amortization, non-cash impairment loss, deferred rent, pre-opening expenses, non-recurring gains and losses, stock based compensation, losses from discontinued operations and certain transactional costs. For a reconciliation of adjusted EBITDA to the most directly comparable financial measure presented in accordance with GAAP and a discussion of why we consider it useful, see the financial information accompanying this release. Total GAAP Revenue increased 6.1% to $21.7 million in the fourth quarter of 2017 compared to $20.4 million in the same period last year due to sales increases in comparable and new stores along with increased revenue from management, license and incentive fee revenue. Total owned net revenues increased 2.0% to $18.3 million in the fourth quarter of 2017 compared to $18.0 million in the fourth quarter of 2016. The increase was primarily due the opening of the STK in Denver in January 2017 and an increase in comparable sales, partially offset by the closing of the STK in Washington, DC in December 2016. Comparable sales from owned STK units increased 5.8%, while comparable sales from both owned and managed STK units increased 6.0%. These increases reflect strong performances of the STK brand. Management, license and incentive fee revenue increased 36.5% to $3.3 million in the fourth quarter of 2017 compared to $2.4 million in the fourth quarter of 2016. The increase was driven by higher management and incentive fees reflecting the strong performances of our European locations along with the launch of the licensed STK in Dubai in December. GAAP net loss attributable to The ONE Group Hospitality, Inc. in the fourth quarter of 2017 the quarter was $331,000 or $0.01 loss per share compared to GAAP net loss of $16.1 million or $0.64 loss per share in the fourth quarter of 2016. Adjusted EBITDA** increased 57.7% to $2.4 million in the fourth quarter of 2017 from $1.5 million in the fourth quarter of 2016. Total food and beverage sales at owned and managed units* increased 1.4% to $44.3 million in the fourth quarter of 2017 compared to $43.7 million in the fourth quarter of 2016. Total GAAP Revenue increased 10.2% to $79.8 million for the full year 2017 compared to $72.4 million in 2016 due to sales increases in comparable and new stores along with increased revenue from management, license and incentive fee revenue. Total owned net revenues increased 7.7% to $68.9 million in the full year 2017 compared to $63.9 million in the full year 2016. The increase was primarily due to the opening of our STK in Denver and the increase in comparable sales across the brand restaurants. Comparable sales from owned STK units increased 0.5% while comparable sales from owned and managed STK units increased 2.6% reflecting the success throughout the year of focused sales initiatives. Management, license and incentive fee revenue increased 29.0% to $10.9 million in the full year 2017 compared to $8.5 million in the prior full year. The revenues increase was primarily driven by our UK operations. GAAP net loss attributable to The ONE Group Hospitality, Inc. in the full year 2017 was $4.2 million or $0.16 loss per share compared to GAAP net loss of $16.7 million or $0.66 loss per share in the full year 2016. Adjusted EBITDA increased 53.6% to $7.0 million in the full year 2017 from $4.5 million in the full year 2016. The ONE Group (NASDAQ: STKS) is a global hospitality company that develops and operates upscale, high-energy restaurants and lounges and provides hospitality management services for hotels, casinos and other high-end venues both nationally and internationally. The ONE Group’s primary restaurant brand is STK, a modern twist on the American steakhouse concept with locations in major metropolitan cities throughout the U.S. and Europe. ONE Hospitality, The ONE Group’s food and beverage hospitality services business, provides the development, management and operations for premier restaurants and turn-key food and beverage services within high-end hotels and casinos. FAT Brands Inc. had an exciting 2017, including the formation of FAT Brands Inc. in March, an IPO resulting in $20.9 million net proceeds, the acquisition of Homestyle Dining LLC (Ponderosa and Bonanza Steakhouse), definitive agreement to acquire Hurricane Grill & Wings, and positive same store sales growth across the brands. Fatburger, the brand’s flagship concept, increased same store sales in core domestic markets 7.4%, the 8th consecutive year of positive domestic same store sales growth for the concept. 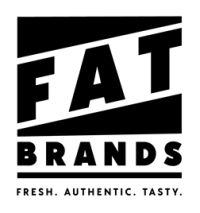 FAT Brands Inc. now owns five restaurant brands and have approximately 300 locations open, with 300 more in development. FAT (Fresh. Authentic. Tasty.) Brands Inc. today announced financial results for fiscal 2017. “We now expect to close on the Hurricane acquisition in the second quarter of 2018. Pro forma for the Hurricane acquisition and after full integration of expected synergies, we continue to expect annualized revenue (next 12 months beginning in the 3rdquarter of 2018) to exceed $18.5 million, and annualized EBITDA of greater than $11 million, or $1.10 per share. Excluding Hurricane, we expect annualized revenues from our Fatburger, Buffalo’s, and Ponderosa brands to total $14 million, resulting in EBITDA of $7 million,” Wiederhorn concluded. The Company was formed as a Delaware corporation on March 21, 2017 as a wholly-owned subsidiary of Fog Cutter Capital Group Inc. (“FCCG”). The Company was formed for the purpose of completing a public offering and related transactions, and to acquire and continue certain businesses previously conducted by subsidiaries of FCCG. These transactions occurred on October 20, 2017. The following highlights present key components of our consolidated results of operations for the period beginning March 21, 2017 (inception) through December 31, 2017, which includes the operating results of Fatburger, Buffalo’s and Ponderosa for the period from October 20, 2017 (acquisition) through December 31, 2017. Because this is our initial year of operation, comparative information is not available. (4) Includes the operating results of Ponderosa for the period from October 20, 2017 (acquisition) through December 31, 2017. Fatburger and Buffalo’s were historically under control of FCCG and are predecessors of FAT Brands for financial reporting purposes. To provide financial information by brand in the highlights below, the data presented was compiled for fiscal 2017, combining the audited financial statements of Fatburger and Buffalo’s for the pre-acquisition period from December 26, 2016 through October 19, 2017 with the Fatburger and Buffalo’s brand results included in the audited consolidated financial statements of FAT Brands Inc. for the period beginning March 21, 2017 (inception) through December 31, 2017 (which includes the brand results of Fatburger and Buffalo’s from October 20, 2017 through December 31, 2017). FAT Brands was not affiliated with the Ponderosa entities until they became our wholly-owned subsidiaries on October 20, 2017. FAT Brands Inc. was formed on March 21, 2017 as a wholly-owned subsidiary of FCCG. On October 20, 2017, the Company completed its initial public offering, raising $20.9 million in net proceeds. In connection with the IPO, FCCG contributed its two operating subsidiaries, Fatburger North America, Inc. and Buffalo’s Franchise Concepts Inc. to the Company. Additionally, FCCG consummated the acquisition of Homestyle Dining LLC, and immediately contributed its franchising subsidiaries, Ponderosa Franchising Company, Bonanza Franchising Company and some of their affiliates to FAT Brands. On November 15, 2017 the Company announced that it has signed a definitive agreement to acquire Hurricane Grill & Wings, a Florida-based restaurant brand with over 60 units open or under construction. The acquisition is expected to close in the second quarter of 2018, subject to customary closing conditions including the receipt of financing. New store openings – The number of new store openings reflects the number of stores opened during a particular reporting period. The total number of new stores per year and the timing of stores openings has, and will continue to have, an impact on our results. Same-store sales growth – Same-store sales growth reflects the change in year-over-year sales for the comparable store base, which we define as the number of stores open for at least one full fiscal year. Given our focused marketing efforts and public excitement surrounding each opening, new stores often experience an initial start-up period with considerably higher than average sales volumes, which subsequently decrease to stabilized levels after three to six months. Thus, we do not include stores in the comparable base until they have been open for at least one full fiscal year. We expect that this trend will continue for the foreseeable future as we continue to open and expand into new markets. FAT Brands (NASDAQ: FAT) is a leading global franchising company that strategically acquires, markets and develops fast casual and casual dining restaurant concepts around the world. The Company currently owns five restaurant brands, Fatburger, Buffalo’s Cafe, Buffalo’s Express and Ponderosa & Bonanza Steakhouses, that have approximately 300 locations open and 300 under development in 32 countries. Total Revenue declined $6.1 million to $56.3 million, primarily due to the Company’s transition to an asset light business model and the exit of non-core business units. Jamba Juice reported a $6.1 million total revenue decrease to $56.3 million, which the company attributed to the transition to an asset light business model and the exit of non-core business units. The brand reported increases in domestic system-wide sales to $392.9 million and a 39.2% increase in Non-GAAP Adjusted EBITDA. The company opened 35 new units, 27 domestically and 8 internationally. 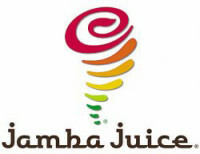 Jamba, Inc. (NASDAQ:JMBA) (“the Company”) today announced financial results for the fiscal quarters ended April 4, 2017 (“first quarter”), July 4, 2017 (“second quarter”), and October 3, 2017 (“third quarter”), and updated its fiscal 2017 and 2018 financial guidance. Domestic system-wide sales increased $7.1 million to $392.9 million. Net Income (Loss) improved $5.4 million, to a loss of $1.9 million. Non-GAAP Adjusted EBITDA increased 39.2% to $12.8 million. Non-GAAP Adjusted EBITDA Margin increased to 22.8%, compared to 14.8%. Opened 35 new stores, of which 27 were domestic and eight international. Completed portfolio optimization transactions in Chicago, Phoenix, and Seattle, including development agreements for 32 new stores across the three markets. As previously disclosed, the Company held cash of $11.9 million as of October 3, 2017, $11.2 million as of July 4, 2017, $8.2 million as of April 4, 2017, and $7.1 million as of January 3, 2017. On February 12, 2018, the Company provided additional information. As of January 2, 2018, the Company held cash of $10.0 million, including restricted cash of $0.3 million. The Company had not drawn against its line of credit, and had no outstanding principal balance as of the end of fiscal 2017. Total Revenue guidance issued March 20, 2017 included 13 stores in the greater Chicago area as Company-owned for the full year. Subsequent to this guidance, in June 2017, these 13 stores were successfully refranchised to an existing franchisee. As a result of this transaction, 2017 Revenue declined by approximately $3.8 million relative to the March 20, 2017 guidance expectation. At a future date, the Company will provide an update to this guidance to include the necessary adjustments for the new revenue recognition standard. The Fiscal 2018 Financial Guidance currently excludes the impact of this new standard. Non-GAAP Adjusted G&A Expense, Non-GAAP Adjusted EBITDA and Non-GAAP Adjusted EBITDA Margin Percent set forth above are forward looking Non-GAAP measures which the Company is not able to provide comparable GAAP forward-looking estimate of net income without unreasonable effort, as information needed to make a reasonable forward-looking estimate is difficult to predict and estimate and dependent on future events which are uncertain or outside the Company’s control. The probable significance of such adjustments is also similarly difficult to estimate for the same reasons. The Company continues to work diligently with Jamba’s newly appointed auditor, Whitley Penn LLP to complete fiscal 2017 financial statements and their subsequent audit, and to thereafter file the 2017 Form 10-K as soon as practicable. Juice It Up!, one of the nation’s leading handcrafted smoothie, raw juice, and superfruit bowl franchises, announces its acquisition by SJB Brands, LLC. and appointed Chris Braun as company CEO. Purchased from longtime owner and former CEO, Frank Easterbrook, SJB Brands was formed as a partnership between California-based private investment firms, Dover Shores Capital, LLC, led by Braun, Britt Private Capital, LLC, and Jupiter Holdings, LLC. After over two decades of leadership at Juice It Up!, Easterbrook has passed the baton but remains committed to the brand as a franchisee. The partners of SJB Brands, LLC, possess over 30 years of experience in the franchise space while sharing a passion for healthy living and the vision of growth for Juice It Up! Juice It Up! currently has 100 locations open and in development across California, New Mexico, Oregon, Texas, and Florida. Under the new ownership, the brand will continue to enhance its core offerings of hand-crafted smoothies, fresh raw juices and superfruit bowls. In addition to focusing on product innovation and a customer-centric strategy, growth in prime markets while sourcing high quality site locations and franchisees are key initiatives. Del Taco reported Q4 system-wide same store sales increases of 2.4%, including a 2.1% increase in comparable sales across company-operated units. The company also reported total revenue increases of 3.2%, from $146.5 million to $150.2 million, but declines in Net Income. In Q4, the brand opened 10 restaurants, mostly company-owned, and closed four locations. For the full year 2017, the brand opened 20 and closed seven. Del Taco Restaurants, Inc. (“Del Taco” or the “Company”), (NASDAQ: TACO), the second largest Mexican-American QSR chain by units in the United States, operating restaurants under the name Del Taco, today reported fiscal fourth quarter and fiscal year 2017 financial results. The Company also provided guidance for fiscal year 2018 and announced the upcoming launch of Elevated Combined Solutions, the next phase of Del Taco’s successful Combined Solutions strategy. The fiscal fourth quarter and fiscal year 2017 ended January 2, 2018 consisted of 16 and 52 weeks, respectively. The fiscal fourth quarter and fiscal year 2016 ended January 3, 2017 consisted of 17 and 53 weeks, respectively. The opening of 10 restaurants system wide, including nine company-operated and one franchised restaurant. The opening of 20 restaurants system wide, including twelve company-owned and eight franchised restaurants. Adjusted net income*, Adjusted EBITDA*, and restaurant contribution* margin are non-GAAP measures and defined below under “Key Financial Definitions”. Please see the reconciliation of non-GAAP measures accompanying this release. The Company’s fiscal fourth quarter 2017 included 16 weeks compared to 17 weeks in the fiscal fourth quarter 2016. Total revenue was $146.5 million compared to $150.2 million in fiscal fourth quarter 2016. 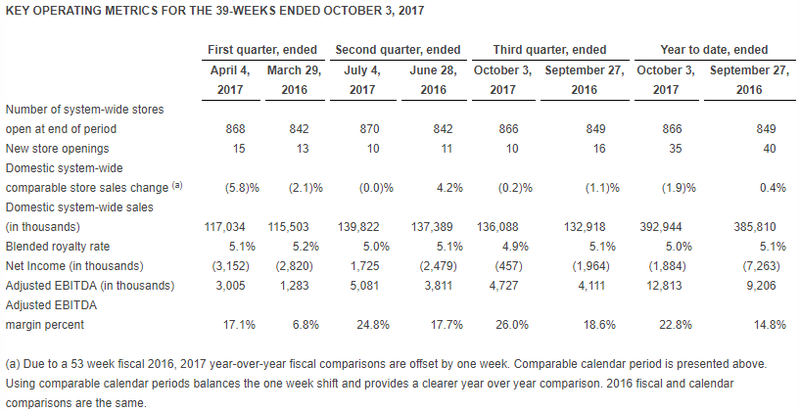 Total revenue and company restaurant sales attributed to the additional operating week in the fiscal fourth quarter were approximately $8.3 million and $8.0 million, respectively. Comparable restaurant sales increased 2.4% system-wide for the fiscal fourth quarter 2017, resulting in a 7.9% increase on a two-year basis. The Del Taco system has now generated comparable restaurant sales growth for 17 consecutive quarters. Company-operated comparable restaurant sales increased 2.1%, marking the 22nd consecutive quarter of comparable restaurant sales growth. Franchise comparable restaurant sales increased 2.8%. Net income was $35.2 million, representing $0.89 per diluted share, compared to $8.0 million in the fiscal fourth quarter 2016, representing $0.20 per diluted share. Fiscal fourth quarter 2017 results include a $29.1 million one-time income tax benefit from the revaluation of our deferred tax balances as per the TCJA, representing diluted earnings per share of $0.73. Fiscal fourth quarter 2016 results included an estimated $0.01 benefit to diluted earnings per share from the additional operating week. Adjusted net income* was $6.1 million, representing $0.15 per diluted share. The one-time adjustment represented an income tax benefit of $29.1 million, or $0.73 per diluted share, from the revaluation of our deferred tax balances as per the TCJA. Restaurant contribution* was $28.0 million compared to $31.1 million in the fiscal fourth quarter 2016. Fiscal fourth quarter 2016 results included an estimated $1.4 million benefit to restaurant contribution from the additional operating week. On a comparable 16-week basis, restaurant contribution decreased 5.7%. As a percentage of Company restaurant sales, restaurant contribution* decreased approximately 160 basis points year-over-year to 19.9%. The decrease was the result of an approximately 10 basis point increase in food and paper costs, an approximately 90 basis point increase in labor and related expenses, and an approximately 70 basis point increase in occupancy and other operating expenses. Adjusted EBITDA* was $23.3 million compared to $25.3 million in the previous year’s fiscal fourth quarter. Adjusted EBITDA in the fiscal fourth quarter 2016 included an estimated $1.1 million benefit from the additional operating week. On a comparable 16-week basis, Adjusted EBITDA decreased 3.8%. During the fiscal fourth quarter 2017, the Company repurchased 249,210 shares at an average price per share of $12.27 and 23,253 warrants at an average price per warrant of $3.22 for an aggregate of $3.1 million. For fiscal year 2017, the Company repurchased approximately 1.0 million shares at an average price per share of $12.41 and 424 thousand warrants at an average price per warrant of $3.72 for an aggregate of $13.8 million. As of the end of fiscal 2017 there was approximately $20.9 million remaining under the $50 million repurchase authorization. In December 2017, the TCJA was enacted and includes a number of changes to existing U.S. tax laws that impact the Company, most notably a reduction of the U.S. corporate income tax rate from 35 percent to 21 percent for tax years beginning after December 31, 2017. The TCJA also provides for the acceleration of depreciation of certain assets placed into service after September 27, 2017 as well as prospective changes beginning in 2018, including additional limitations on executive compensation and limitations on the deductibility of interest. The Company measures deferred tax assets and liabilities using enacted tax rates that will apply in the years in which the temporary differences are expected to reverse. Accordingly, the Company’s deferred tax assets and liabilities were remeasured to reflect the reduction in the U.S. corporate income tax rate from 35 percent to 21 percent, resulting in a $29.1 million decrease in income tax expense for the year ended January 2, 2018 and a corresponding $29.1 million decrease in net deferred tax liabilities as of January 2, 2018. Net capital expenditures between $35.0 million to $38.0 million. Del Taco (NASDAQ: TACO) offers a unique variety of both Mexican and American favorites such as burritos and fries, prepared fresh in every restaurant’s working kitchen with the value and convenience of a drive thru. Del Taco’s menu items taste better because they are made with quality ingredients like freshly grated cheddar, hand-chopped pico de gallo, sliced avocado, slow-cooked beans made from scratch, and fresh-grilled marinated chicken and carne asada. The brand’s UnFreshing Believable® campaign further communicates Del Taco’s commitment to provide guests with the best quality and value for their money. Founded in 1964, today Del Taco serves more than three million guests each week at its more than 560 restaurants across 14 states. For more information, visit www.deltaco.com.